If you’ve ever been in a situation where you forgot what email and password were used to list your business address on websites like Google Plus, then this article is for you. It’s tough when you need to update information like your phone number or address but can’t remember the details needed to do so. I had a client approach me with this problem. Her old webmaster created accounts for her on Google Plus but didn’t use the client’s email address to create it. She needed to update her business address because she has moved locations. When we asked the old webmaster, she said that she had lost the email and password that was used for the Google Plus account. The last thing we want is our customers going to the wrong store. Fortunately, Google Plus has a great built-in tool for a situation like this. The process will only work for you if you still have access to your old business address. In this situation, our client had access to the old address. 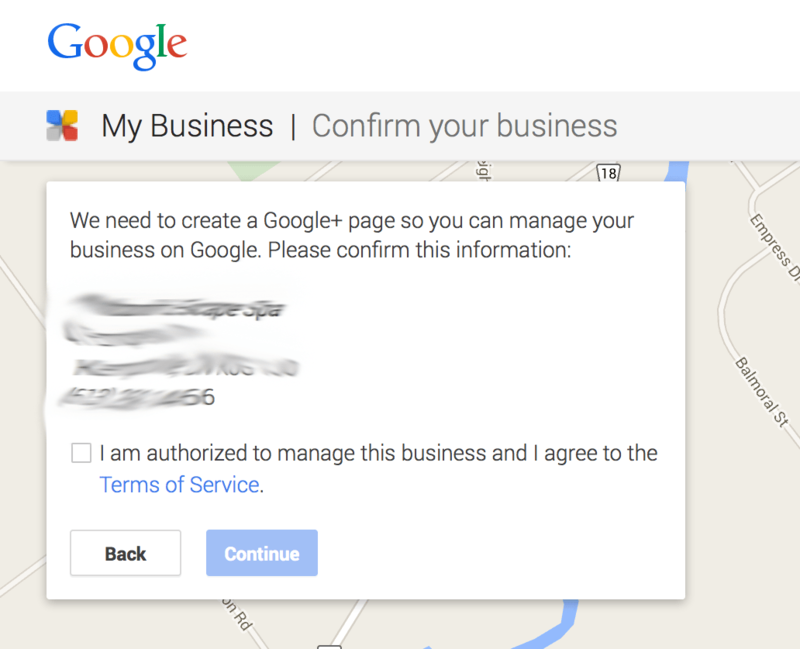 With Google Plus, what you need to do is request a verification code with another account to manage the business. 1) You need to sign in to Google using another account. This can be your personal Gmail account or you can create a new account for this purpose. 2) Scroll down to the bottom of the business page and click “Manage this page”. 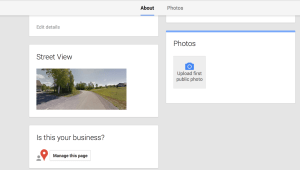 Go to the Google Plus page and scroll down to bottom. On the bottom left, you’ll see a question and a link to click on called “Manage this page”. 3) Claim authorization to manage the page and receive a verification code from Google. Accept the terms of service agreement and a verification code will be delivered to your address. If you’re a web designer and this is for your client, then you can have your client email you the code upon arrival. Your verification code will take 2 – 3 weeks to arrive by mail. In the meantime, I suggest that you place a notice on your door, telling your customers that you’ve moved locations.